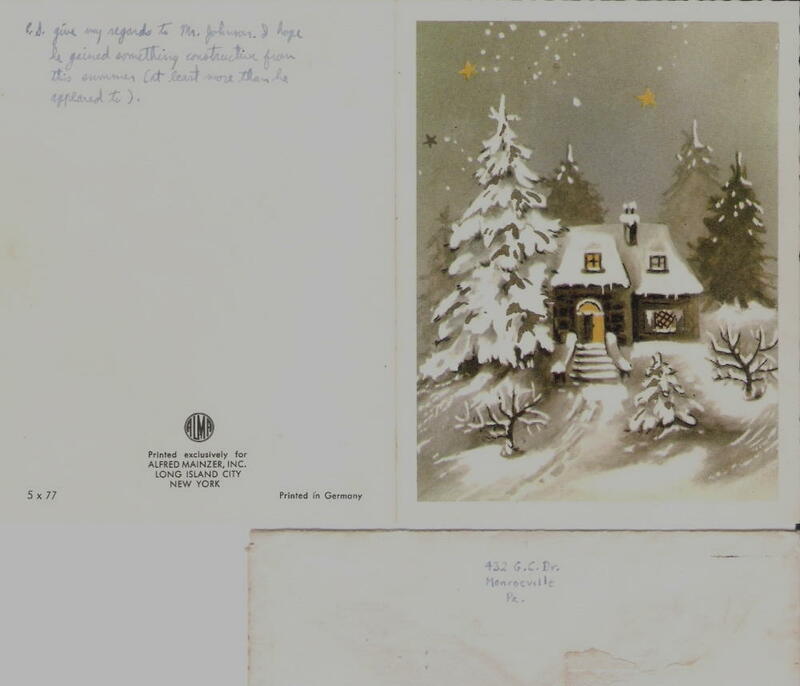 I had completely forgotten that I had written a Christmas Card to Mayor McLean that year. When I bought Rev. Bill McAtee's book, Transformed: A White Mississippi Pastor's Journey Into Civil Rights and Beyond, I naturally looked at the index to see if I was mentioned, which turned out to be the case in a number of instances. One of those was a reference to the fact that a Christmas card from me to Mayor McLean had been found in the mayor's race-relations file. It was quoted in full. 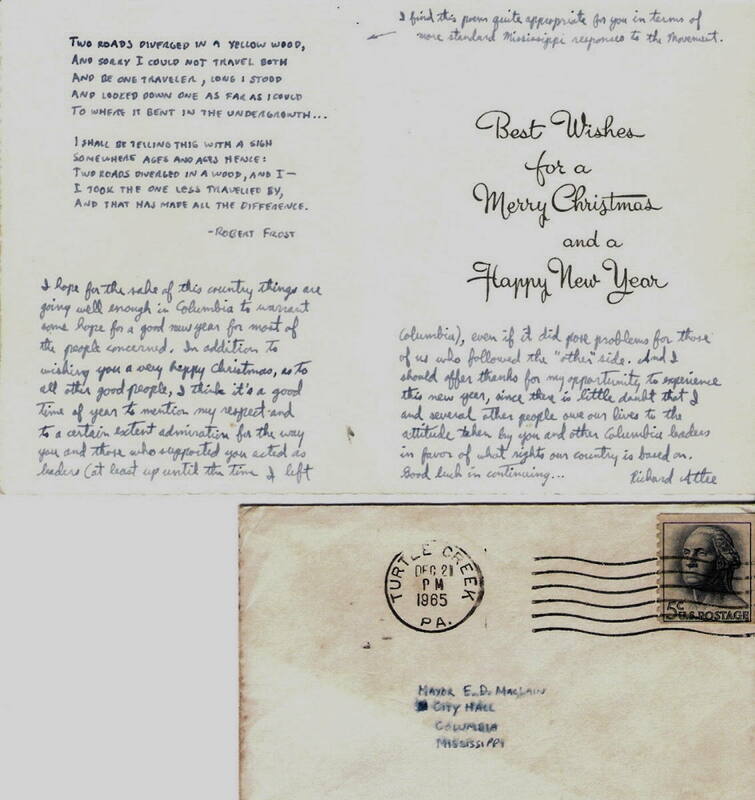 When I finally got in touch with Bill McAtee, he sent me a scanned copy of the card. This is the copy, somewhat darkened for readability. I find this poem quite appropriate for you in terms of more standard Mississippi responses to the Movement. P.S. give my regards to Mr. [Police Chief] Johnson. I hope he gained something constructive from this summer (at least more than he appeared to).